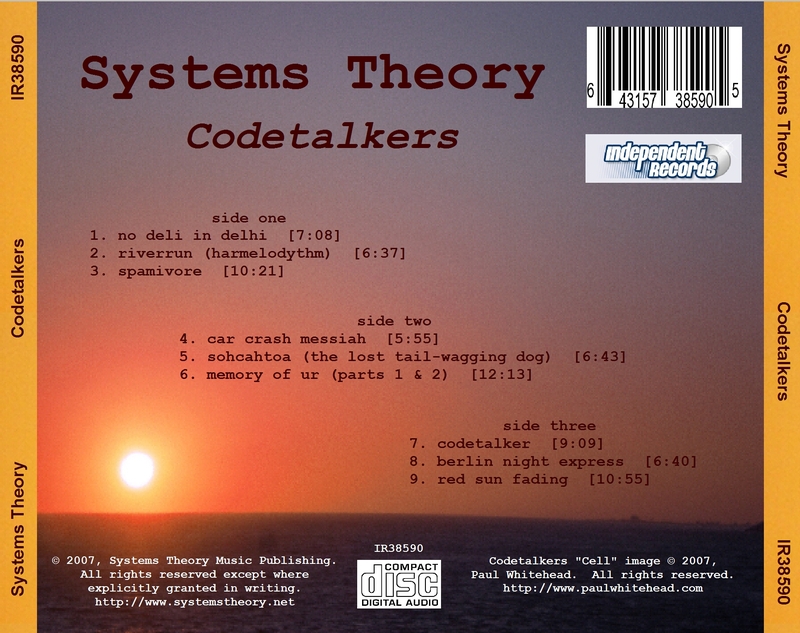 Thanks for showing interest in our latest album Codetalkers. It has been a long haul getting here and we've suffered many setbacks along the way, but the album is now finished, now here and is available for anyone to download for free. 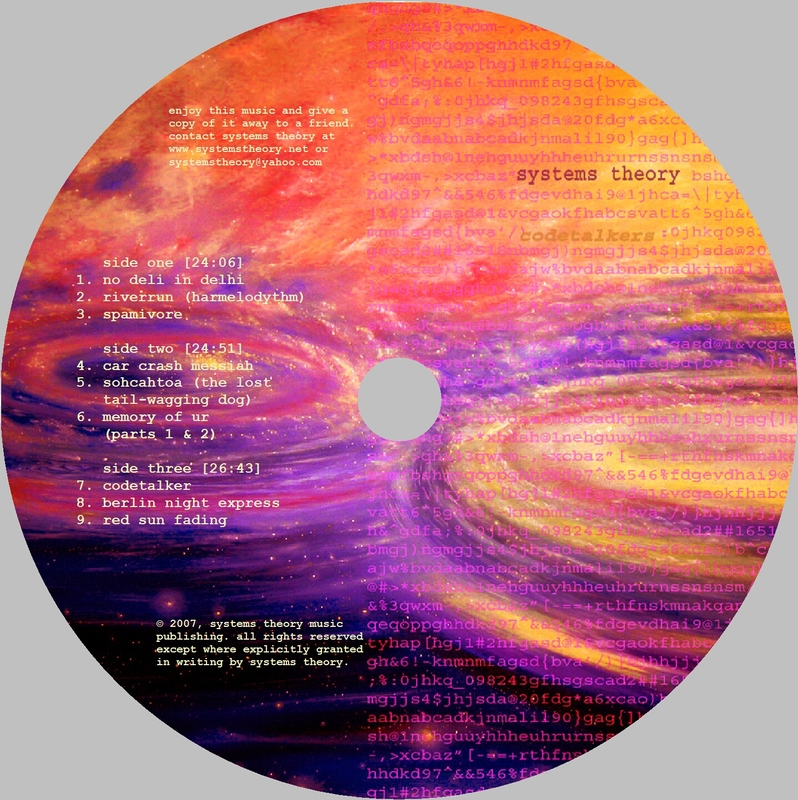 Anyone who wishes to contribute to the cost of this album can make a Paypal donation to systemstheory@yahoo.com but we stress that no one is under any obligation to do so. The link for PayPal is found further down the page. As with the last album Soundtracks for Imaginary Movies, this album is a classic example of that over-used descriptor a collision of styles; a merging of disparate and incongruent ideas and textures, where the old bumps into the new, the electronic collides with the organic, and the programmed has a chance encounter with the downright spontaneous. Some of the album was recorded using computers. Some using tape. Some was played on digital musical instruments, some played on digital copies of old instruments, some on acoustic instruments and some on old analogue instruments. Nothing is ever excluded by us for reasons of style or conformity. Our essential principle is this: if the sound fits then it fits. Buried deep within this album is the sound of a Victorian tenement stair being struck with a length of wood and recorded from sixty feet above. Elsewhere there are the sounds of an electric violin, a Mellotron, a disembodied flute, pots and pans being struck with wooden sticks, a cat idly playing with a lead, the squall of tortured mechanical devices crunching gears and cogs through their last moments, the voices of the wind and rain, and the rich assortment of toys and machinery that we pick and choose to use in our palette. If the last album was a series of musical accompaniments to films that didn't yet exist, then this collection is a collage of those things you'd rather not see but are perhaps happy to dream about from a safer distance; giant lizards, car crashes, warfare, rushing trains, dying red suns and trigonometry. It's been a long labour of love and near-obsession getting this music to you. The music was recorded in Edinburgh and Los Angeles between 2002 and 2006, some of it sounding very old indeed to our ears. During this time we have been through many strange times, not least of which was a downturn in Greg's health. This problem has been dealt with and our friend and colleague is fully back with us again. It is to his and his wife Diane's long and happy future together that Steven and Mike dedicate this album. For reasons of space we have removed the link to the main ISO file. 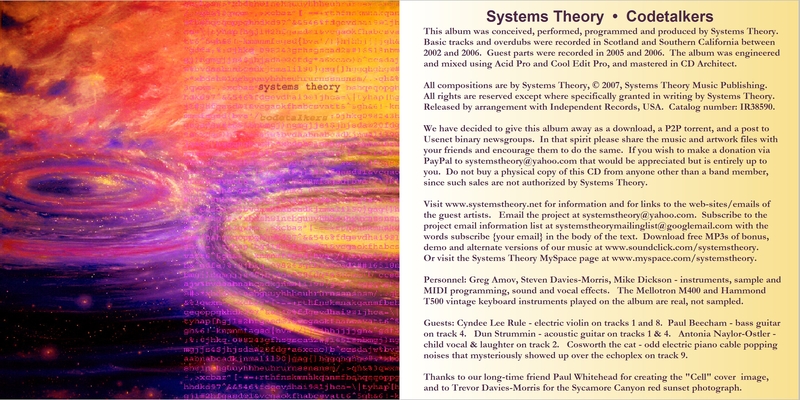 Instead, each track page shown on the left has a link to the individual tracks. In keeping withour collective love of the vinyl format - and as per the previous album - Codetalkers is arranged into three 'sides' of music to mimic that format. There is also supposed to be a fourteen second delay between tracks 3 and 4 and between tracks 6 and 7 to emulate the turning over of each side of the album. 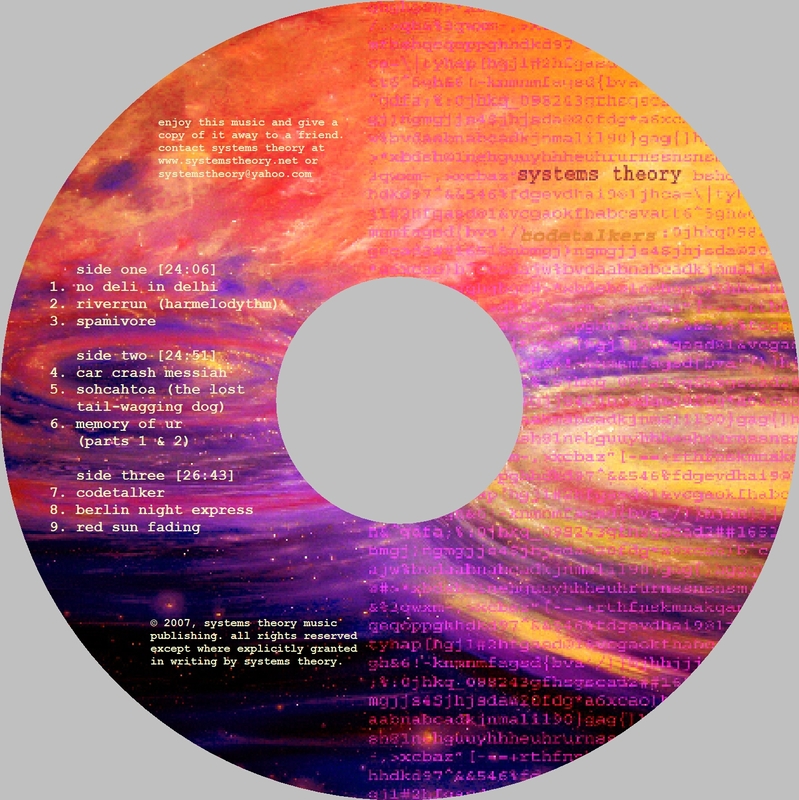 Here are the image files that contains the artwork for the main cover, the CD tray and the CD label. We also have a version of the CD label that is available for full-face printing either directly to the CD or to a suitable label.